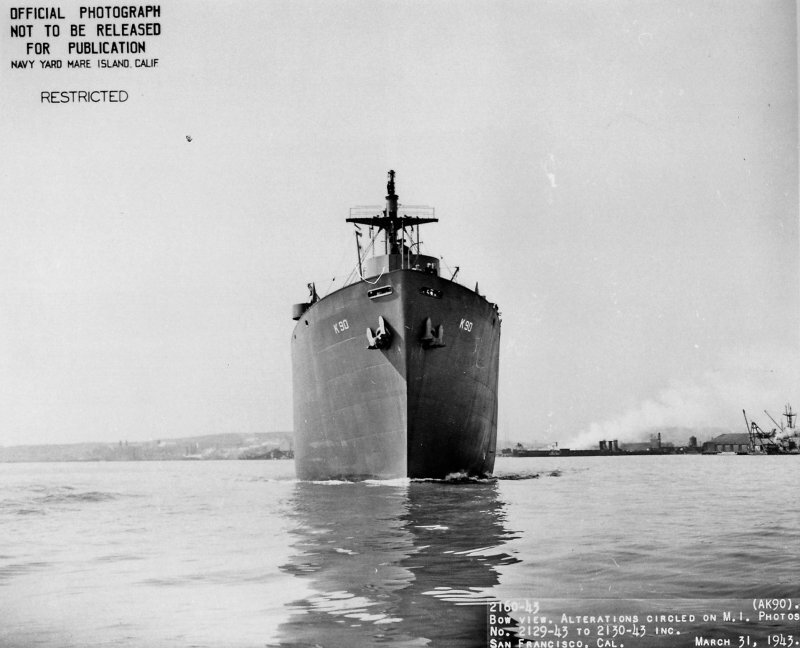 Laid down, date unknown, as SS John G. Nicolay, a Maritime Commission type (EC2-S-C1) hull, under Maritime Commission contract (MCE hull 525), at Permanente Metals Corp. Yard No.1, Richmond, CA. 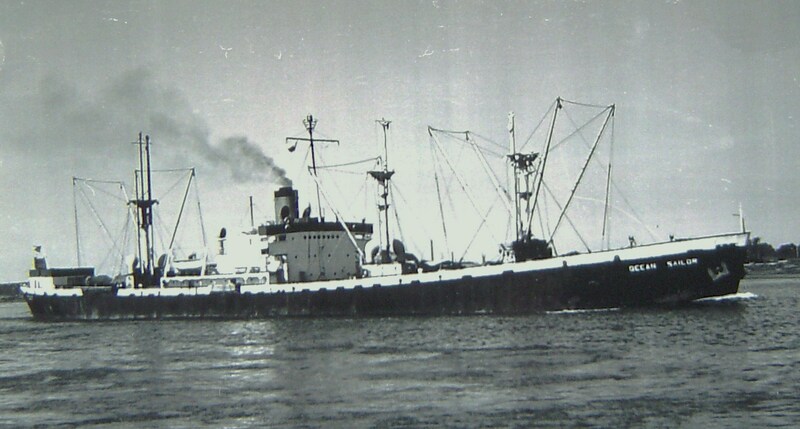 Converted for Naval service at Matson Navigation Co., San Francisco, CA. 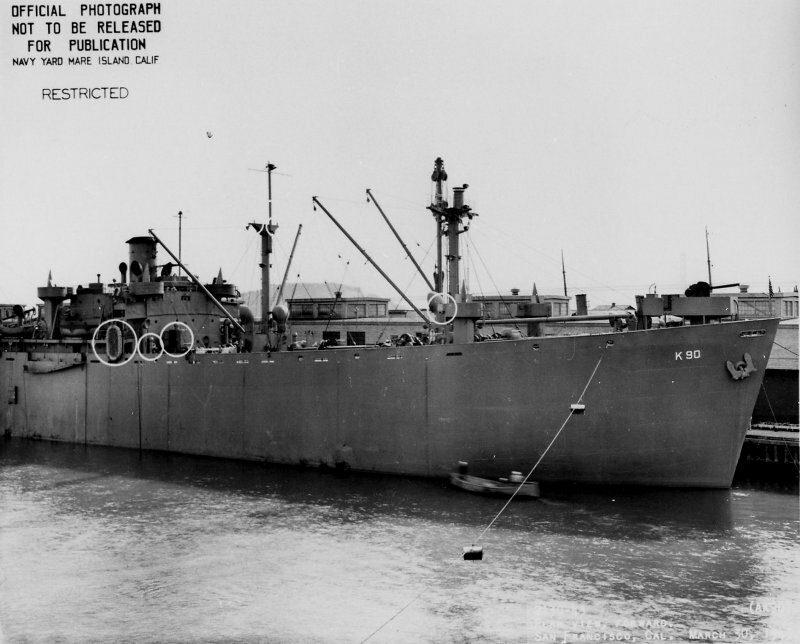 Decommissioned, 5 July 1946, at Norfolk, VA.
82k Broadside view of USS Albireo (AK-90) moored at the Matson Navigation Co., piers in San Francisco, CA. 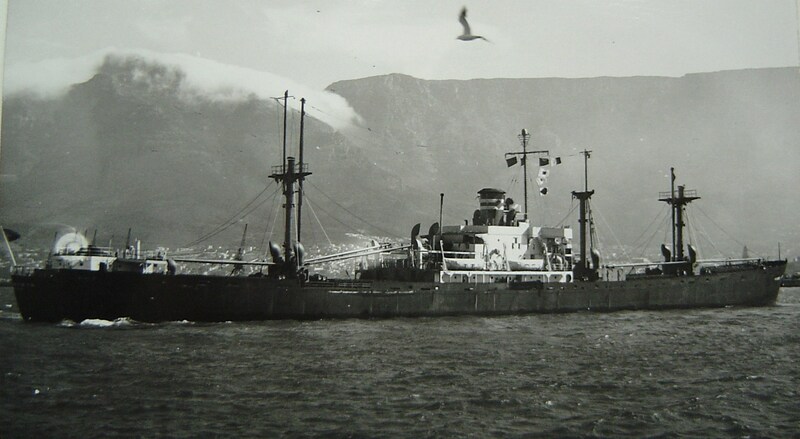 for conversion to Naval service, 30 March 1943. 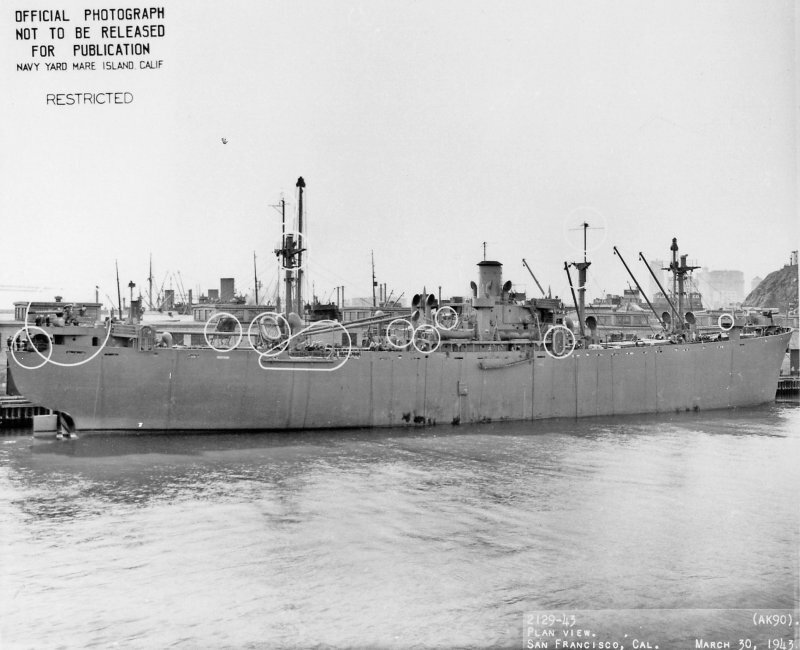 82k Forward plan view of USS Albireo (AK-90) moored at the Matson Navigation Co., piers in San Francisco, CA. for conversion to Naval service, 30 March 1943. 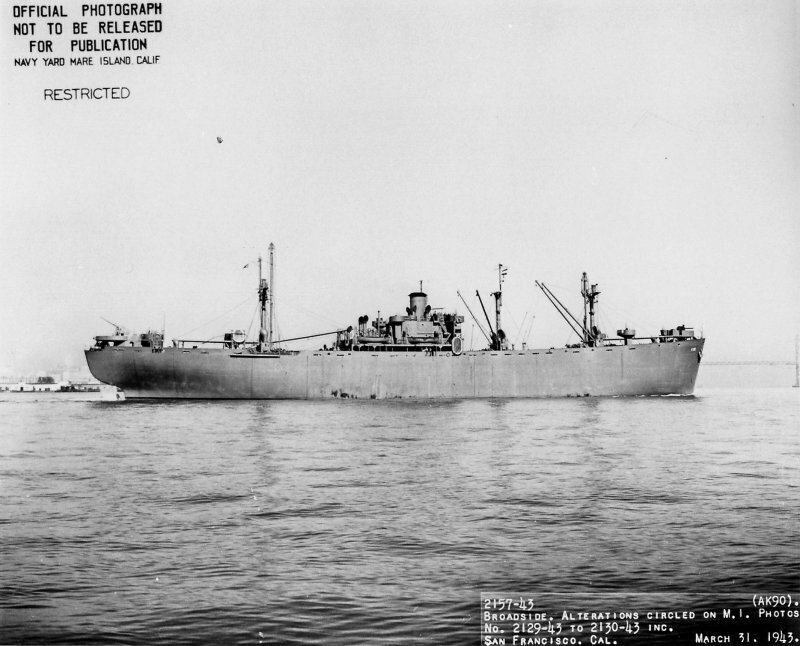 90k Broadside view of USS Albireo (AK-90) off San Francisco, CA., 30 March 1943. 72k Bow on view of USS Albireo (AK-90) off San Francisco, CA., 30 March 1943.